New Orleans Almost a year ago in Fall 2017 issue of Social Policy (v.47#3), we published a long article by veteran local organizer Randy Cunningham entitled “Doing the Unthinkable in Cleveland, Ohio” that detailed the tragic story of defeat being pulled out of the jaws of victory in a huge fight over upgrading the “Q,” the NBA Cleveland Cavalier’s stadium for billionaire owner Dan Gilbert. Now, the piper is being paid by the people. 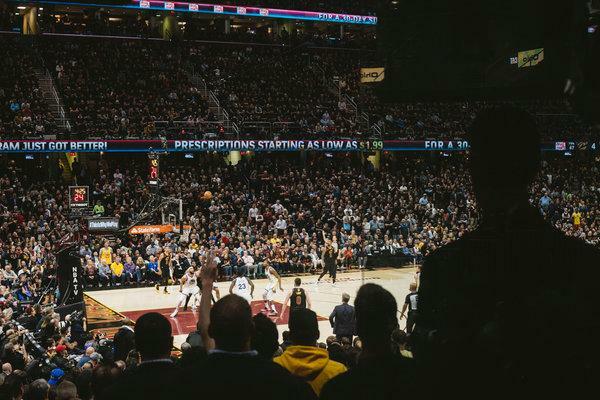 Michael Powell, the esteemed New York Times sports columnist in his Sports of the Times updated the story in recent weeks as tragedy becomes farce and leads to financial ruin for Cleveland and Cuyahoga County and its low-and-moderate income families. So, I’ll admit it, this is an “I told you so moment,” I reproduce his whole column now from August 7th. Northeast Ohio offers a tale of two legacies. LeBron James departed for Los Angeles earlier this summer and left behind a spectacular gift for his hometown Akron, Ohio: a new elementary school for at-risk children and tens of millions of dollars for college scholarships. An hour’s drive to the north, the Cavaliers lost that same superstar. But Dan Gilbert, the team’s billionaire owner, and N.B.A. executives can take solace in having capitalized on James’s success to pull off a perfectly legal shakedown of a not-so-economically-healthy city. With arm-twisting and attacks on ministers and community organizers and hints that they just might depart, the Cavaliers and their allies last year persuaded county and city governments to underwrite most of a $140 million upgrade of the team’s Quicken Loans Arena. So it goes with that peculiarly American institution known as stadium socialism. As a postmodern Karl Marx might write: Team owners of the world unite; you have nothing to lose but the public’s money. Aspects of the financing look a touch shaky. City and county leaders plan to use a portion of the tax on Cavaliers playoff tickets to help pay off the arena bonds. That looks like a dodgy bet right now as the Cavaliers, shorn of James, may not even make the playoffs. The Cavaliers advise no worries. They say they will front the money if the city and county have a shortfall — so long as the money is paid back to the team later. Further, they have argued that money poured into the arena has seeded the rebirth of the downtown, and that public funds are being used to upgrade and update public arenas. Cleveland is a pleasant lakeside city, and some of its neighborhoods and the downtown corridor have experienced a handsome revival. Its coffers are not overflowing, however, and a majority of citizens and neighborhoods barely scrape by. 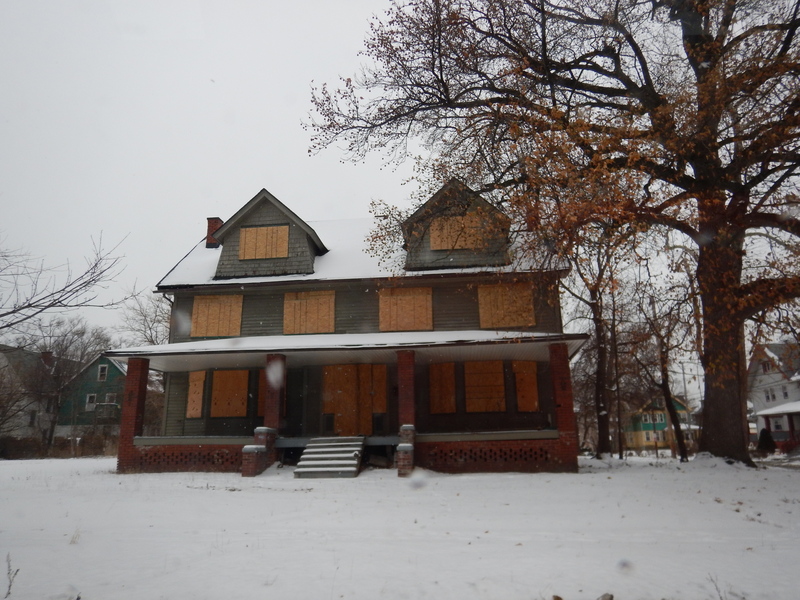 Cleveland’s poverty rate stands at 36.2 percent. More than half of its children live in poverty. The infant mortality rate is three times higher than that of New York City. As for Cuyahoga County, 18.3 percent of its residents live in poverty, above the national rate. It is also $1 billion in debt. The county executive Armond Budish declared in 2016 that “our credit card is maxed out.” He ruled out more county spending projects. Not so long after that he endorsed the arena deal. Best sports deal is an intriguing term of art in Cleveland, which over the years has poured roughly $800 million of public money into its stadiums and arenas. Gilbert and his comrade sports billionaires — Jimmy Haslem, who bought the Browns and the existing deal for Browns Stadium in 2012 from the Lerner family, and Larry Dolan, owner of the Indians — control nearly all revenues reaped at these public buildings, and receive many tens of millions of dollars for naming rights. A few years ago, the owners joined to push a referendum to persuade voters to extend a countywide sin tax on cigarettes, beer and liquor. That effort cost the owners a small bag of dough, about $3 million. It was the wisest of investments. The referendum passed, and it will sluice $262 million into a fund to polish the stadiums. Will Tarter, a public-spirited budget analyst, recently examined this fund and found that Cleveland’s teams were pulling down on that money with startling rapidity. The Cavaliers will soon burn through well over half their 20-year allotment. No worries. There’s always more money where that came from. I should note that Gilbert takes pride in his good works: The Cavaliers run a literacy program, underwrite a modest scholarship program and give away a fair number of tickets to local children and sort of hold down ticket prices. 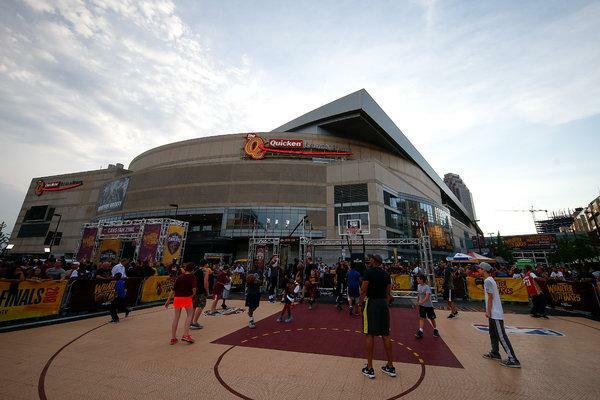 To help sell the arena rehabilitation, the Cavaliers agreed to refurbish basketball courts in 22 community centers. That builds a future market, and that’s grand. The bigger play, however, is drawing down the big public dollars. Cleveland voters are not passive observers having their pockets picked. City residents voted thumbs down on the sin tax, which passed on the back of votes from better-heeled precincts of Cuyahoga County. This brings us to the Quicken Loans upgrade saga. A peripatetic lawyer and activist, Peter Pattakos, fought against the tax. When he heard that the Cavaliers were circling back to the public dining table to fix the arena, he got busy. Greater Cleveland Congregations, an ecumenical group of churches and synagogues affiliated with the Industrial Areas Foundation, perhaps the nation’s finest organizing group, took to the streets. If we’re to underwrite this arena, the congregations said, Gilbert should agree to pour an equal sum into community services. City law allows for a referendum if 6,000 citizens sign petitions. The congregations and labor and community allies came in with 20,603 signatures. But when they walked the petitions into the council clerk, she refused to accept them. No, no, please, go away. Pattakos quickly filed a lawsuit in State Supreme Court, arguing that the council had no choice but to accept legal petitions. A who’s who of wealthy worthies supported the Cavaliers, their legal briefs brimming with harrumphs. The Ohio Supreme Court rejected these arguments and ordered the council clerk to accept the petitions on the novel legal principle that the law is the law. More fury followed. Gilbert announced that he would pull out of the deal. The N.B.A., which in city after city acts as a partner in these arena shakedowns, said it could not entertain Cleveland’s bid to host the 2020 or 2021 All-Star games. Powerful people called board members of synagogues and churches in Greater Cleveland Congregations. Democratic Congresswoman Marcia Fudge accused the group of “strong arm tactics” that have “no good place in community organizing.” The local paper, the Cleveland Plain Dealer, did a hair-on-fire dance on behalf of Gilbert. Not long after, the congregations cut a sad little deal for a couple of mental health centers and withdrew their petitions. Cleveland was safe again for sports billionaires. “It underlines how much corporate money has changed the way laws and policy are made in this country,” Pattakos says. There is only one near certainty: Long before the bonds are paid off, the Cavaliers will demand a new arena and the dance will start all over again. Cleveland In several meetings with community development and housing experts in Cleveland, they kept pointing us east. Not just to the east side of Cleveland which had historically housed the largest African-American communities in the city, but to the near suburb and separate city of East Cleveland, so with an organizer from ACORN Canada’s Ottawa office, we hit the doors for several hours while driving around the area to get the measure of the area. According to census figures, East Cleveland is now about 94.5% African-American in a population that has dropped to less than 18,000 from almost 40,000 in 1970. The median household income is now $20,660 compared to almost $49,000 statewide in Ohio with a poverty rate over 42% compared to almost 16% statewide. The median home value is just shy of $37,000 with 65% renters and a general housing vacancy rate of over 37%. The school district regularly ranks as the lowest in the state of Ohio, and the city has been on the verge of bankruptcy for years, unable to pay police and fire personnel. 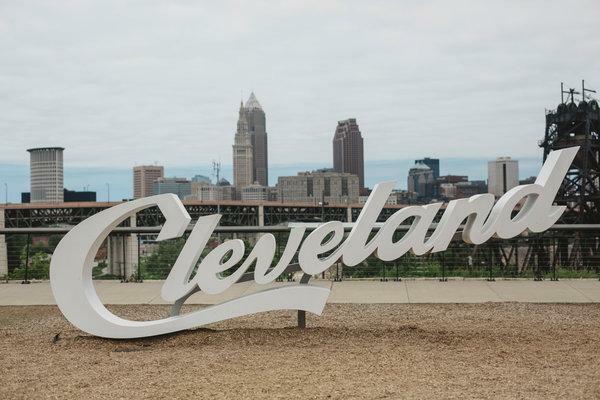 On the other hand it is hardly a mile from the expanding campus of Case Western University, museums, the botanical garden, and hospitals associated with the world-famous Cleveland Clinic. Part of the area was the Forest Hills estate of John D. Rockefeller who built the Standard Oil monopoly in Cleveland and lived here. Some of the houses and apartment complexes in the area are huge, both occupied and abandoned. There are case studies that argue that this contradiction was not just deindustrialization and white flight, but a more systematic result of governmental racial housing discrimination over years of the type brought to attention more recently in Richard Rothstein’s book, The Color of Law. The Thriving Communities Institute has made East Cleveland a poster child. 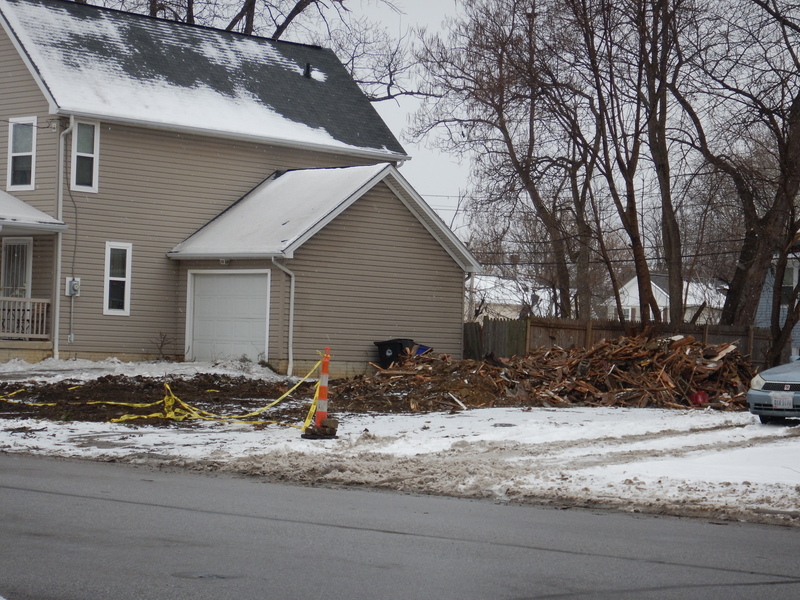 A $100 million fund diverted from the state of Ohio’s foreclosure relief money was earmarked for demolitions, but excluded multi-family dwellings. They argue that a 20-acre tract is hopeless and should be cleared for development and housing. The Institute, which supports land banks, chafes at criticism that it is only about demolitions, and claims that they rehab one house for every three they take down. Driving through East Cleveland and visiting with families there, it was easier to see the demolitions, and in fact when looking for dumpsters which are the markers for rehab, we saw none. But, visiting with families, ACORN’s Home Savers Campaign was impressed with the enthusiasm that families had for the area, and their commitment to owning their homes, even though they were now on land contracts. Of five families, we met four who were African-American, one white, and one Hispanic. They weren’t running. They were hunkering down. Their repair projects were serious, but the gains were palpable in the large two-story houses with basements that they were trying to make their own. The economics are brutal though, because for homes that most were contracting to buy for $25,000 or so, the Institute’s back-of-the-envelope figures spitballed at me in various meetings meant that $20,000 in repairs might only increase the value by $5000 in the home on the general sales market, hardly moving the needle on tax revenues and not offering much in collateral for bank loans. In a scary way, this is almost an argument for land contracts to implement rehabilitation, but in another way, it is also an argument for government to step in to create the long term fix that it helped create and that short term capitalist calculations are continuing to enforce.